As an apartment building owner, you want to find the best Landlord Insurance at the most affordable price. Look no further than WHINS Insurance Agency, where you will find the knowledge and experience of experts like Joel Wagner. 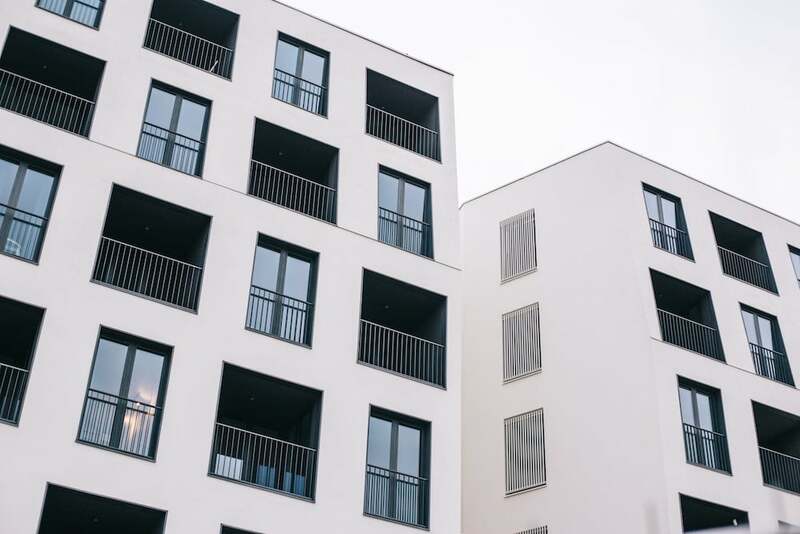 From simple buildings to major apartment complexes, we can help you find the Apartment Building Insurance the will meet all of your needs, while fitting ever so nicely within your budget. We understand that the insurance market is a competitive one. That is the reason that this company works with more than thirty of the most reputable insurance providers to create all inclusive, affordable and easy to understand Rental Property Insurance plans. No longer will you have to worry about hassling with the issues of property amenities. Apartment building owners of California can finally take a sigh of relief. The rates and deductibles that you can get through our agency are incredibly reasonable, even if your apartment complex features tennis courts, swimming pools, multiple stories and historic building structures. Joel Wagner can make sure that you have the right limits to meet your unique needs. In addition, he can also help you determine if you need additional types of coverage, such as earthquake, flooding or Workers Compensation insurance. At WHINS Insurance Agency, the clients best interests come first, which means discussing your particular complexes and building in order to provide you with the most valuable industry insight. As the owner of an apartment building in California, you owe it to yourself and your tenants to call (818) 233-0825 and talk to Joel Wagner today. A large number of the risks that the owners of apartment buildings have to face are pretty obvious. For example, you know that you need Landlord Insurance that will protect the building as well as the property from fire, theft and weather damage. In addition, you realize the importance of liability insurance to protect you against lawsuits that can arise due to injuries sustained by tenants, guests and anyone else while on the premises of your apartment building. On the other hand, some of the risks that you must face are not quite as out in the open. For instance, you may not be aware that you should also be concerned with the maintenance and repair of extensive air conditioning and heating equipment. In addition, you must also be concerned with the legal expenses that can come with discrimination suits by tenants. Your apartment building and business property may require special coverage for floods and additional perils. All of this can be overwhelming to manage, but it is Joel Wagner’s job to help you identify your risks and offer you a wide range of options to protect your apartment building in a way that is as economical as possible. What Does Apartment Building Insurance Do? As an apartment building owner, you have a lot of things to worry about concerning your property. Rental Property coverage is designed to put your mind at ease in regards to what is going to happen if you are ever faced with a simple mishap or a major catastrophe that causes damage to your property. Your policy is going to do more than simply pay to repair the damages related to a covered loss, it is also going to prove to be valuable in a variety of legal circumstance as well. will cover the expenses related to rebuilding or repairing the structure of your apartment complex in the event a covered loss does occur. However, your policy is not going to provide coverage for the tenants’ personal belongings and contents of the individual units. For this, your tenants will have to invest in a renter or tenant insurance policy to obtain coverage. is designed specifically to protect the structure or dwelling, including additional structures on the property like garages. This policy should include general liability coverage as well for adequate protection against property damage or personal injury claims. will also provide you with coverage for claims against property owner negligence and building defects. Covered building defects can include problems with electrical wiring, elevators and stairs to name a few. If a lawsuit is filed against you, general liability will pay your legal expenses, including your defense council. Being an apartment building owner means making a huge investment. However, protecting this investment is not always as easy as jumping on the cheapest Rental Property Insurance quote. At WHINS Insurance Agency, you get the benefit of coverage from top providers at the most affordable prices. Call (818) 233-0825 to get started putting your coverage package together right away, or simply click here to get started online. The peace of mind that you deserve is more affordable and easier to obtain than you may think.